Bladder cancer refers to the formation of cancerous cells in the bladder (the organ that stores urine). In this disease the cells become malignant and multiply rapidly and without control in the bladder. This form of cancer most commonly occurs as transitional cell carcinoma or, in simpler terms, within the cells located in the inner lining of the organ. Less common versions also include squamous cell carcinoma (cancerous cells that are thin and flat), and adenocarcinoma (cancer that begins in cells that produce fluid). Symptoms of this disease range from blood in the urine (not always visible by the human eye), pain or discomfort during urination, frequent urination (pollakiura), or feeling a need to urinate with no results. It is important to note that some of these symptoms can develop from cystitis and prostate infections. Proper diagnosis by a qualified medical doctor (MD) or urologist should be undertaken to determine what is causing the underlying symptoms of bladder cancer. The primary causes of this disease (and many other forms of cancer), is believed to be environmental carcinogens. With this in mind, tobacco use is considered to be the leading cause, especially in male patients where it is nearly twice as common as that of female patients. Occupations with the highest risk include metal workers, those employed in the textile industry, and individuals who work in the printing. Bladder cancer is not believed, by most physicians, to be heritable (it does not “spread through families”). Transitional cell carcinoma – Transitional cell carcinoma is the formation of cancerous cells that line the inside of the bladder. These cells expand the bladder when its full and contract if empty. Transitional cell carcinoma is the most common form of bladder cancer within the U.S.
Squamous cell carcinoma – Squamous cells appear in your bladder usually in response to some form of infection or irritant. Over time these cells can eventually become cancerous. Squamous cell carcinoma is a rare form of cancer in the United States. However, it is fairly common in third world countries and areas where parasitic infections are more common. These parasitic infections are known to cause squamous cell carcinoma in the bladder. Adenocarcinoma – In Adenocarcinoma, the cancer develops in mucus secretion glands in the bladder. Like squamous cell carcinoma, this form of cancer is also quite rare. 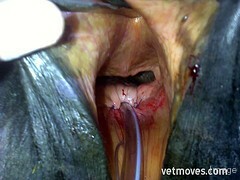 Using a Scope Method – In cystoscopy the doctor will insert a thin tube known as a cystoscope into the urethra. This scope will allow the doctor to examine the inside of the bladder. In most cases, the patient will be sedated during this process by an anesthesiologist to make the experience more comfortable. Cell Testing (transurethral resection). During this procedure ( the doctor will use a special tool to examine the bladder and collect cell specimens for a biopsy. This procedure is usually conducted while the patient is sedated with anesthetics. Urine Testing (urine cytology). A small sample of the urine may be analyzed using a microscope to check for cancerous cells. This procedure is more formally known as urine cytology. Testing with Imaging. Doctors may use imagining test to view the structures of the urinary tract. Depending on the test, the patient may receive a dye which can be used to highlight and examine the bladder and sometimes the kidney and uterus as well. It may occur at any age but is most common in those over age 50. In most cases, this disease is usually always curable if detected and treated early. It has a 5 year survival rate of 90%. It is the 4th most common cancer to develop in men and the 9th most common cancer in women. An average of 9,000 deaths occur each year as a result of this form of cancer. It is usually diagnosed using a biopsy from a cystoscopy. Approximately 90% of bladder cancer patients are treated with surgery or a combination of both surgery and therapy.